Spice Market menu tasting at Market by Jean-Georges restaurant inside the Shangri-La Hotel on Alberni Street on April 3, 2014. Market has brought Brooklyn-born and raised Executive Chef Anthony Ricco from New York's famed Spice Market for a layover and culinary journey in Vancouver (by way of the streets of Southeast Asia). 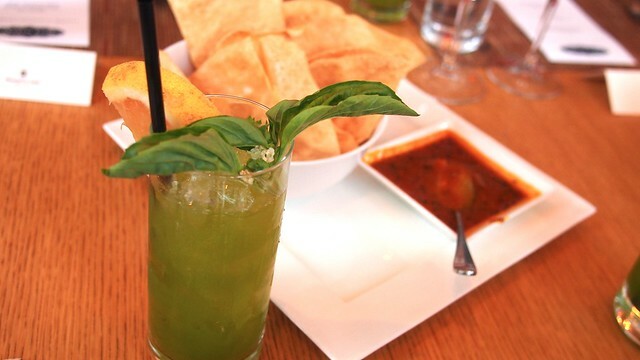 Celebrating its tenth year of operation in Manhattan’s trendy Meatpacking District, Spice Market features Jean-Georges Vongerichten's penchant for the region’s street cuisine served in a casual, intimate atmosphere. 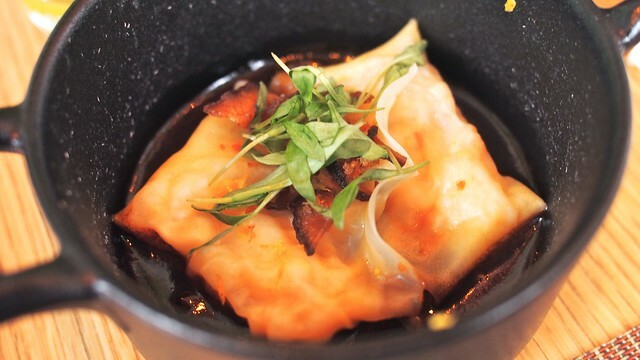 I was intrigued and delighted by the shrimp dumplings (with lobster and Shitake mushroom sauce) despite it being a little strange and indescribable in its mishmash of flavours. 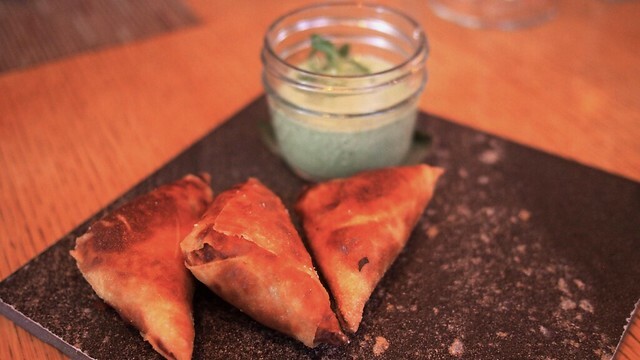 I really enjoyed the lemon spiced chicken samosas (with cilantro yogurt) and their crisp, meatiness. 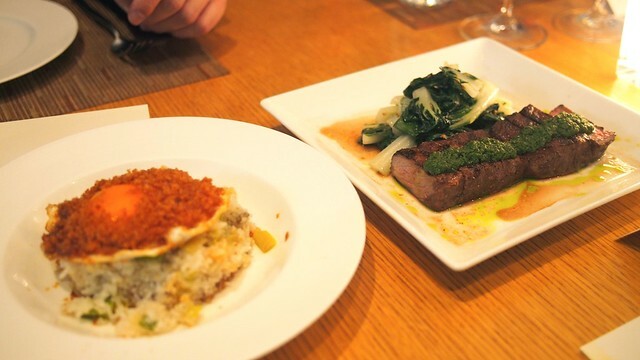 There was a consensus that the grilled striploin steak was a little overcooked but well marinated and garnished. 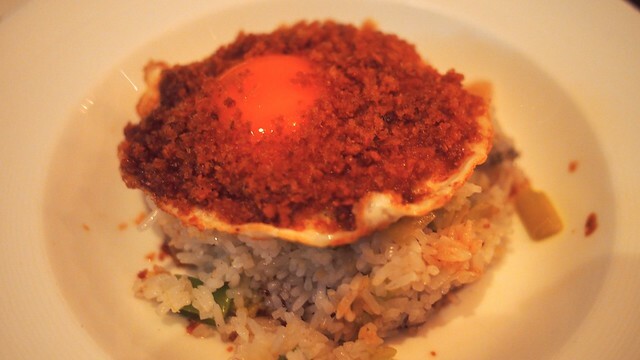 Simply delicious, the garlic coriander and sesame ginger fried rice was a standout for its mix of different tastes. 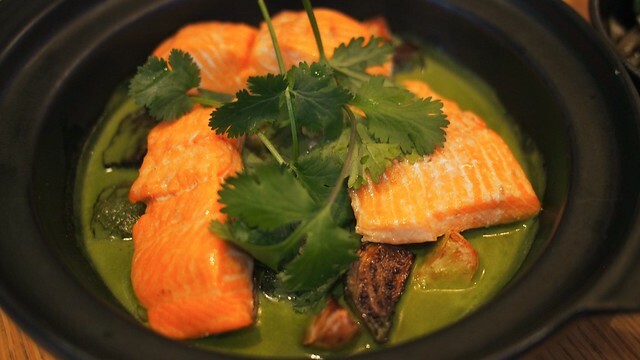 The roasted salmon (in green curry broth with Thai eggplant) was very good and well-prepared. It had a great taste and consistency. 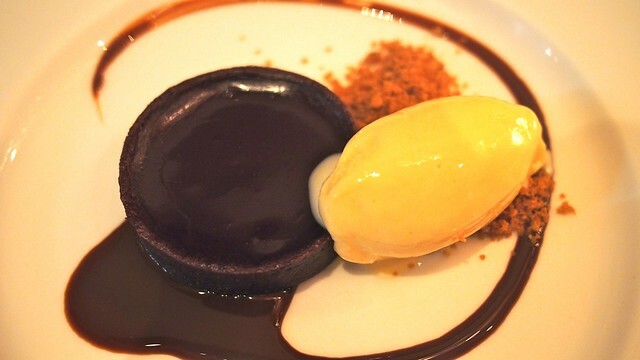 For dessert, the Vietnamese coffee tart (with condensed milk ice cream) was just like the coffee transformed into pastry form with a strong blend of sweet, rich flavours. Spice Market runs until April 18 featuring a special Prix Fixe lunch, five-course dinner tasting, and à la carte menus. Also, Market by Jean-Georges is fittingly celebrating its fifth anniversary at the Shangri-La.